Desweiteren wird es von nun an Botcodes geben, die ihr bekommt wenn ihr M2BOB kauft. Viel Spaß mit M2BOB und frohe Weihnachten ! Furthermore, from now there will be Botcodes that you get when you buy M2BOB. Have fun with M2BOB and Merry Christmas! In plus, de acum va exista CoduriBot care le veti obtine la cumpararea M2BOB.Aveti posibilitatea sa cumparati un cod si sa-l oferiti altei persoane. Acest lucru este destul de la indemana, de exemplu, atunci cand cineva are un cont PayPal si alti 5 oameni nu au, el poate cumpara 5 coduri si apoi le poate vinde la altii si veti avea mai multe zile decat cei care cumpara prin PSC. Distreaza-te cu M2BOB și Crăciun Fericit! Yeni sürüm M2Bob 2.0 tamamen yeniden düzenlenmiş haliyle çok yakında çıkacak. Bunları kendiniz kullanabilirsiniz veya başka birine verebilirisiniz. Die neue Homepage ist ab sofort m2bob.net ! The new homepage is from now on m2bob.net! Yeni sürüm cikti (sürüm 2.0) ve M2Bob ücretli oldu. Yeni web sitesi artık m2bob.net ! Herkez 2 gün içinde eski hesabı kullanabilirsiniz. Ondan sonra yeni Key almak gereksin. Noua pagina oficial va fi www.m2bob.net! Toata lumea poate folosi contul vechi pentru botting in urmatoarele 2 zile daca nu a avut premium inainte, în cazul in care ati avut premium inainte va puteti rascumpara 40/80/115 zile din "Depozit-Key"
But it was successful, the bot works now on Windows XP, Vista, 7, 8 ! - Stabilitate îmbunătățită în timpul BOT-ingului. Finally, after long and much work we managed to fix M2BOB on Windows XP and it works now 100% perfect. Have fun with the new version ! 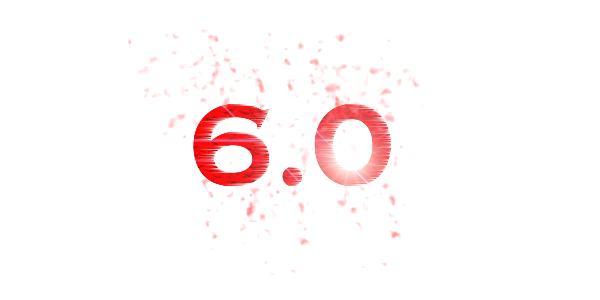 - Added function "Get skills automatically with level 5"
- 5 Days - BACK for our trouble!!! - M2Bob Başlamama Hatası Çözüldü. - Bot sırasında client hata verip M2Bob KOMPLE Kapanma sorunu çözüldü. - Gelişmiş Başlama Özelliği(Hız) + Bot Performansı Arttırıldı. - You can now search in the PickupTab for the ItemID, ir for "pick" and "ignore"
Aceasta functie scaneaza toate shopurile ( magazinele ) intr-un timp foarte scurt si cauta itemele pe care vrei sa le cumperi ! - Scaneaza toate shopurile pentru un singur sau mai multe iteme ! Bu hafta içerisinde (pazar/pazartesi) yeni bot modülü olan M2Bob-Search Bot gelecektir! - Seçtiğiniz itemleri anında bulur. - İstediğiniz fiyata itemi arar. - Aradığınız item bulursa ucuzdan pahalıya listelenecek ve en ucuzunu almak istiyormusunuz? Evet-Hayır şeklinde mesaj kutusu çıkacak. - Eş zamanlı olarak, aradığınız itemleri en ucuza bulabileceksiniz. - WalkOnClick (Tıkladığın yere git) Bugları Giderildi: Bkz: Kırmızı 1.köyden mavi 1.köye giderken buga gitme sorunu çözüldü) %100. - Artık Otomatik olarak metin2'nin kurulu olduğu GameForgeLive dizini tanınacak. - Bazı görüntü hataları fixlendi. - Fixate unele bug-uri cu cartile competentelor si alte iteme din searchbot . - Fixat WalkOnClick (Mergi La Click) buguri din pozitii ciudate . - Adaugat cale de detectare automate pentru GameforgeLive directorul de instalare Metin2 . - Mici corecții grafice . Noch heute kommt eine neue M2Bob-Version raus, welche einen neuen Botmode, den Spambot enthält, dieser kann sowohl in den Chat spammen, als auch die Leute per PN in der Umgebung anschreiben. And a new attackmethod called PowerHit, you hit faster then with attackspeed so the monsters die faster. Astazi o noua versiune de M2bob va fii lansata . Aceasta versiune o sa cuprinda un nou mod , Spambot . Cu acest nou mod poti sa trimiti mesaje automat pe chat sau prin pm altor persoane. In momentul de fata lucram pentru a face ca M2bob-ul sa functioneze pe toate servarele private , iar prima versiunea care va functiona pe orice servar privat fa fi lanasta saptmana urmatoare(14-15 decembrie). Sa ne auzim cu bine si in urmatorul an ! - Version to be used free ! IMPORTANT: If the bot does not work for you on your P-Server dont smap in the forum, read if somnebody asked that question before or write a PM to a team member ! - Levelbot is not perfectly usable with horse and no "without moving"
- Levelbot is now perfectly usable with horse and no "without moving"
The bug with the "5" at the top right corner isnt fixed yet, it will be fixed in the next update, so please dont report it. - Added function: "Stop bot if PM from GM recieved"
INFORMATION: The new function GM-Teleport Anti-Ban is highly experimental, and can have bugs !! - added "only hit x Minuten in a single metin/boss"
- Added new function "Stay x in position ms after killin a metin/boss"
- Added function "Pick own items before CH change"
- Fixed startup error on some pservers "Unexpected parameter"
All non-customers can use M2Bob from 25.12. till 8.1.2015 for free! All customers receive 10 extra days for free! When you redeem a M2Bob-Key from 25.12. till 15.1.2015 you'll receive +30% botting time!! - You can now enter the amount of items searchbot should buy max. - Fixed bug on p-servers: "Internal protection error"
- Fixed bug on p-servers: "metin2client.bin has stopped working..."
- Fixed bug on p-servers: "DLL DETACHED ERROR"
- Fixed bug on p-servers: Freezeing at "Connecting to the server..."
- Fixed Text "© xxxx - m2bob.net" at first login now shows correct "Servername, CHx"
- Fixed P-Server error "malicious program found"
- Fixed bug with Shopbot when opening Shop "You can't have more than 2kkk Yang in your inventory"
- You can now enter comma values for the time of the function "Use item with ID every seconds"
Am 22.07.2015 gegen 22 - 23:00 wird ein Tutorial released werden, mit dem man auf allen Servern, den CH-Changer zum laufen bringen kann! Derzeit sollte M2Bob auf allen P-Servern funktionieren, außer auf den hier aufgeführten, um sicher zu sein, testet es einfach selbst: P-Server compatibility thread ! 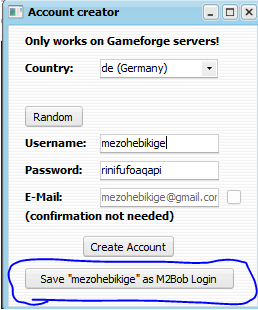 - New Version that can be used FOR FREE: [FREE] How to use M2Bob for free! - You can now enter comma values at "change position after x seconds"
- Added more logs: "Character acts with a low profile because player/GM x was near"
- Fixed P-Server: Some others that I forgot to mention, just test it! - New setting: Don't attack occupied metins, you can find that setting in the attack tab at "Options"
- Bot can show a notice when a Metin/Boss/Ore is near, you can find that setting in the attack tab at "Options"
Additional information: I will be not very active here until then 5th april, because of this, there will be no update on the 29th March. Additional information 2: M2Bob Premium will be FREE for everybody from the 7th April until the 10th April! And happy easter to everybody! 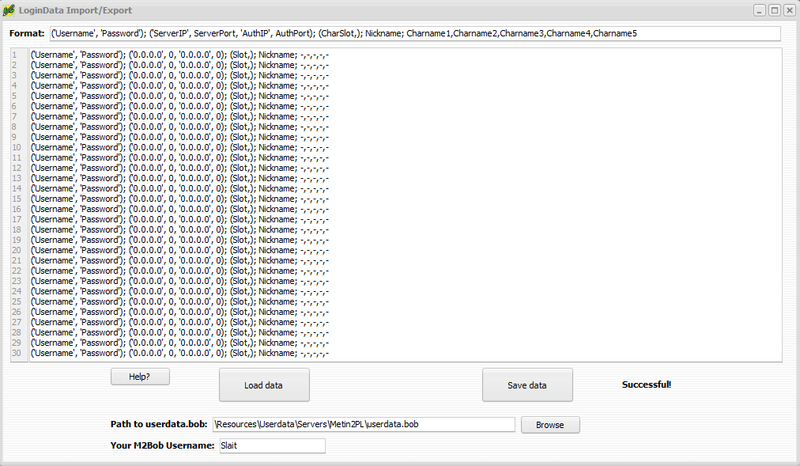 INFO1: On Gameforge servers, currently Attackspeed is limited to 200, because higher values can cause kicks. Additionally Mobpuller may cause kicks...if you have too many try disabling them. More information about that will follow. INFO2: The new method for searching shops will be released next week. You will be able to browse through all items on the whole market and sort them by price. Also it will be possible to buy them automatically. - Get skills is now saved when client crashes etc. With the teleport, the character can travel large distances in one map in just a few seconds. Example: From "Land of Giants" to "Red wood" in below one minute! The new function can be activated at the top above the M2Bob minimap. - Fixed message corrupted "CH changing not working"
- Fixed bug regarding login "Traceback error"
Good evening, today we are presenting you Version 8.0 of M2Bob. There were lots of changes and cool features, you can find the full feature list in the changelog! This list will always be updated and will contain all known P-Servers that had problems once with M2Bob. If one server isn't in that list it means it is right now unknown to us and we dont know if it is working. Finally, there will be a small easter event. M2Bob Premium will be free to use from Monday to Wednesday (0:00 - 23:59), of course you will get your lost botting time added to your account. - Multiple Start/Stop Lists are now supported. You can save and load as many lists as you want. - Added new highly requested feature "Dont attack monsters/metins in walls" in the Attack Tab in the Options menu. This feature is enabled by default, it may not work on all servers right now. - Fixed bug on P-Server: Client lagging when using "use item by ID"
You can choose the name yourselves or just choose a random name, no account activation needed. - Updated the Patcher available on m2bob.net to fit the new 9.0 design, Patcher now automatically clicks on "Start M2Bob"
- Added function "exit bot if no more items can be sold"
- Fixed bug on Gameforge servers error: "Enter login data first"
Information regarding ban tests: For reliable testing, you need to make sure to not use any suspicious functions (MobPuller, Attackspeed, Rangepick etc. ), also when nobody is around. Additionally, you need to have a new IP-Address and no VPN and finally, to be 100% sure you should use a newly created VM to ensure there are no Hardware-Bans (we dont know curretly if these exist). There are also bans with the reason "3rd-party programs" given by GMs manually, keep that in mind! 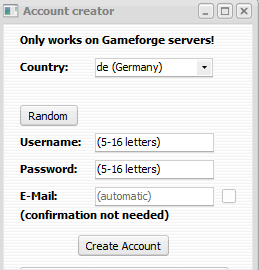 In the last few weeks there were some ban problems on Gameforge-Servers. This problem occured mainly on .tr Servers, but .de, .pl and .it were also affected a bit. The problem here, these bans were partly auto-bans and they mainly targeted powerbotters with many active botting characters, of course being a big problem for many users. We know some of you lost valuable accounts. We decided to add 7 premium botting days to all users who bought the bot during the last 3 weeks to compensate for this. The last 2-3 weeks were also very stressful for us and we needed to put much work into it, we cant refund the whole three weeks, it only affected some users and only gameforge servers. - Has only features you also can use without the bot, that means no Wallhack, Attackspeed, MobPuller, etc. Of course, do not use M2Bob with worthful accounts! Please patch Metin2 with the Metin2 patcher and go ingame once without M2Bob before using the version! Notice: Right now for GF servers, Move- and Attackspeed only works up to 255 and there is no VM-support, this will probably change soon. - Fixed error "please enter login data first"
- Added new function in the Manager in the Launcher: "Close all clients, if one char was banned"
- Added new function in the Manager in the Launcher: "Close all clients, if one char closed because of Anti-Ban"
NOTICE: In this version, we did a code cleanup regarding removing support for old pservers, so some bugs might occur. In that case, just use an older version meanwhile. 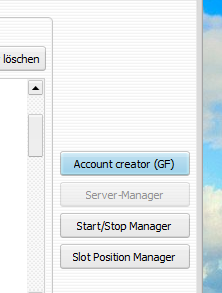 Also we are right now doing some work regarding stability of the bot on Gameforge servers, maybe we can improve it soon. - Added feature for Waithack: "Only active when character is hitting monsters"
Thanks to the help from SoNiice regarding the young hero feature and the okey bot! - Fixed bug regarding "dont attack monsters in walls"
All users already got the botting time added yesterday! Right now, although we think it should be safe, to be really sure, you should NOT use the bot with any worthful characters! All premium users got one day added onto their account. Because of the crashes yesterday, all premium users got one more day added onto their accounts! - Fixed function "Sell items at Fisher if no potions needed"
The Import/Export Tool will be released on the 28.12! The Okey Bot meanwhile is planned to be re-released during the turn of the new year, so you still have some time to use it! Keep in mind, that the Okey Bot does not play perfect. In our tests, in about 40% of all cases it got silver or gold. However, these are only some loose ideas, not a fixed plan. Happy new year from the M2Bob Team! - Changed default button position in the Alchemist options to "3"
Although the Bot does work and we tested it, we suggest you to not use it with worthful characters right now and be especially careful when logging in with main characters on the same IP/PC! Post was edited 100 times, last by “Zynix” ( Apr 12th 2019, 5:51pm ).